Bazaruto is a retro blackletter script font created by Cucu Supriyadi and published by Seventh Imperium, an Indonesian type design foundry. 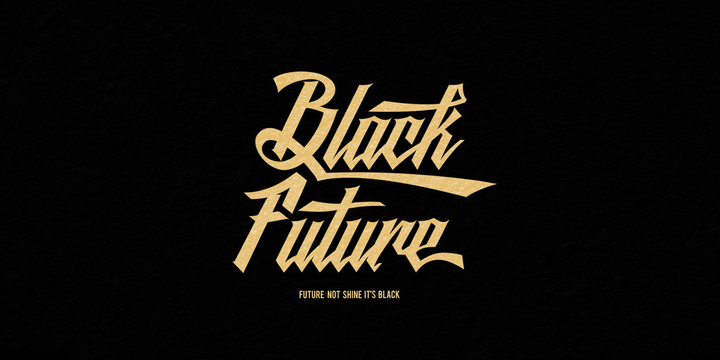 Inspired by medieval Gothic lettering, Black Future features 480 glyphs with sharp modern edges and also a letter design reminiscent of old Teutons ages. A military dystopian future, a Black Future anyone? A font description published on Wednesday, July 15th, 2015 in Cucu Supriyadi, Fonts, Seventh Imperium by Andrei that has 7,136 views.